In 10-inch nonstick skillet, heat oil over medium-high heat. 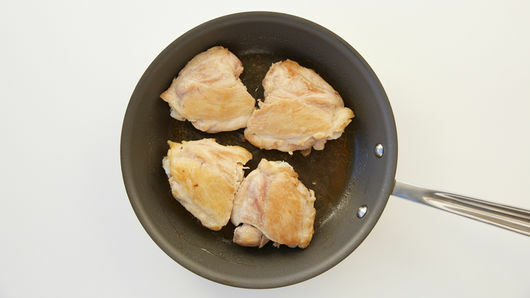 Add chicken thighs; cook 6 to 7 minutes, turning once, until brown. Meanwhile, in 3 1/2- to 4-quart slow cooker, stir salsa, beans, frozen corn, green chiles and chili powder until well mixed. Top with chicken thighs. Cover; cook on Low heat setting 3 to 4 hours or until juice of chicken is clear when thickest part is cut to bone (at least 165°F). Stir before serving. 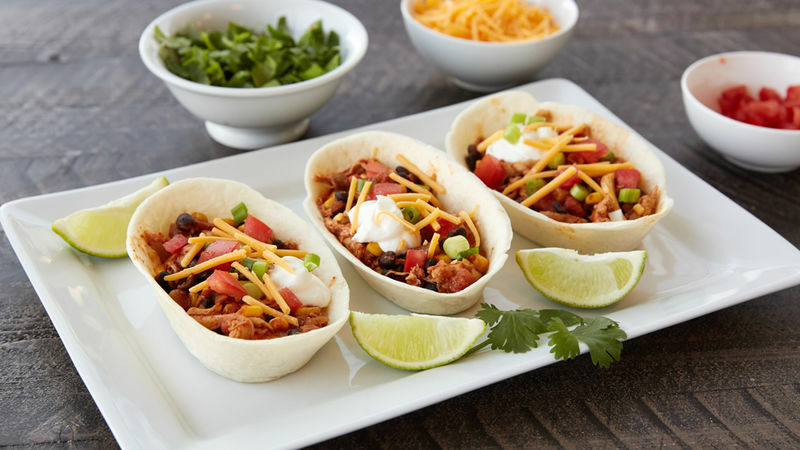 Serve salsa chicken in Old El Paso™ Taco Boats™ soft flour tortillas. Top with shredded cheddar cheese, chopped green onions, salsa and sour cream. 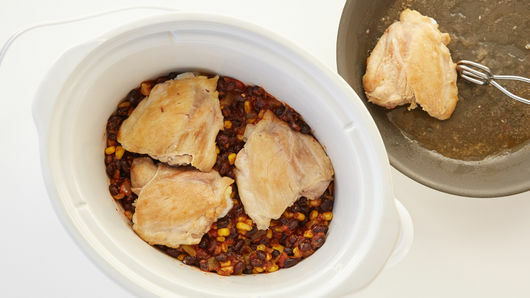 Chicken can be shredded and used as a base for a taco.